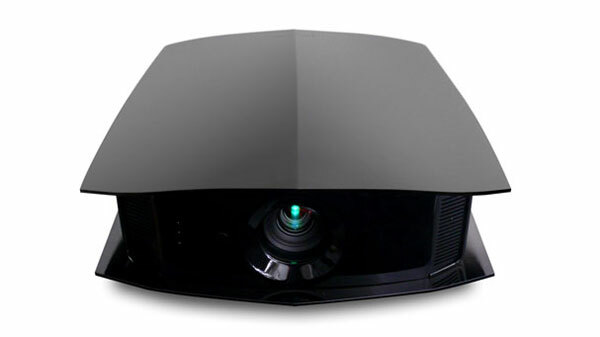 Cineversum introduced the BlackWing MK2011 Series, state-of-the-art home cinema full-HD 1080P digital video projectors which integrate the latest technologies available on the market such as three LCoS panels at a native resolution of 1920×1080 pixels, HDMI 1.4 connections and much anticipated active 3D projection. The BlackWing One, Two and Three MK2011 replace the previous BlackWing MK2010 models that have been acclaimed and awarded around the globe, improving 2D performance and picture quality and adding 3D functionality. The ultra quiet, projector (<19dB) is housed inside a futuristic deep metallic-black ABS plastic chassis designed by the famed French designer Antoine Béon. The design celebrates the concept of speed and precision with an unforgettable futuristic shape reminiscent of the Stealth Fighter; hence, the name BlackWing. 3D projection was obviously the most awaited feature of the new BlackWing Series. The Cineversum engineers have worked tirelessly do 3D right, while not sacrificing the performance with regular 2D content. Proprietary software enables such unique performance. As a result, the Cineversum 3D active-shutter glasses benefit from the latest ergonomic innovations and technologies. Fast-response liquid crystal lenses create the best image quality without ghosting, wherever you sit, and provide higher brightness, more natural colors and great durability. Weighing only 58 gr (2 oz), the ergonomic design offers optimal comfort for everyone. The supplied 3D emitter allows easy integration into the theater space in only a few minutes time. All in all, the BlackWing MK2011 projectors and the Cineversum 3D Kit are definitely the best combination on the marketplace for picture quality, brightness/colors and comfort. Custom in-field calibration and automation is made available for qualified installing specialists via the BlackWing Two and Three's RS232 communication port. The Crystal Motion algorithm is a frame interpolation method which brings an immersive experience to sport, concerts, TV shows. The picture becomes dramatically realistic and three-dimensional, without motion blur or artifacts. BlackWing One comes with 7 preset Picture Modes that the installer or the user can modify according to their taste. On BlackWing Two and Three, an eighth Picture Mode, TH-PRO, has been added and optimized for movie watching in a dedicated dark cinema room. An Expert Calibration Menu (via RS232) and CMS functions (Color Management System for color calibration) are accessible for advanced installers of BlackWing Two/Three. 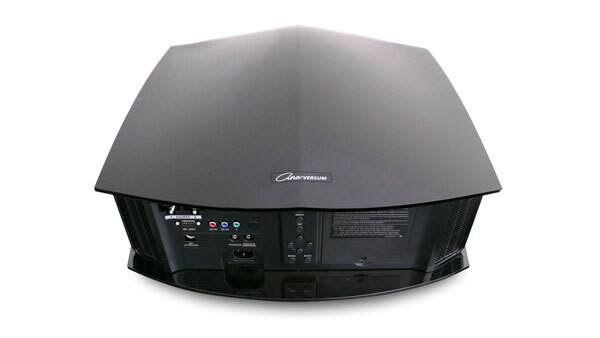 Engineered by Cineversum in Paris, France, every single projector is also carefully tested and hand-calibrated individually by the company's highly experienced video engineers to their European CRT-like tuning standards. The color temperatures and the white field uniformity are optimized to provide very natural picture quality with HD sources like Blu Ray and broadcast HD. By means of superior components, the new BlackWing Series creates new standards in terms of contrast ratio (up to 100,000:1 on BlackWing Three), black levels and picture quality. Thanks to the new True Cinema Black process in the BlackWing Two and Three, dark scenes still remain very detailed and balanced, despite the amazing level of contrast. In addition to being a top-notch performer, the BlackWing Series are extremely easy to install. The 2x (1.4-2.8:1 throw ratio) makes it compatible with virtually any kind of room. The vertical and horizontal lens shift capability can address any challenging configuration. Zoom, focus and shift are motorized, making installation easier and faster. With the keystone correction, it is child's play to adjust the projector for the most razor-sharp picture. For projection on cinemascope aspect ratio screens the BlackWing projectors can also be easily retrofitted with their proprietary CineTwist kit. Thanks to a bespoke motorized anamorphic system, the user will be able to effortlessly switch from the classic 16:9 aspect ratio to a breathtaking Cinemascope format for both 2D and 3D content. The exclusive Cineversum Theatre Mode makes this possible. The BlackWing MK2011 models are available to order now, starting at under $9,600 MSRP. Screen size: 60″ to 240″ diagonal. 3D projection capability. Frame sequential (with active shutter glasses) Frame Packing, Side by side and Above-Below. 1080p24 format compatible: “cinema-like” motion. Optimized out-of-the-box settings and pre-calibrated for D65. Full-glass fully-motorized Pro Grade Lens for variable electronic aperture control for optimizing brightness and contrast according to room light levels. 50 000:1 native contrast ratio BlackWing One / 70 000:1 BlackWing Two / 100 000:1 BlackWing Three. Internal video processor/scaler that adapts for wide range of film and video cadences plus enhances the input signal and removes video noise. Color Management System (7-axis gain and saturation) on BlackWing Two/Three.